Green Energy Mechanical, Inc. has maintained 7 years 5 months of continuous BBB Accreditation. BBB has determined that Green Energy Mechanical, Inc. meets BBB accreditation standards, which include a commitment to make a good faith effort to resolve any consumer complaints. Mass Save® works with certified Energy Specialists, Home Performance Contractors (HPCs) and Independent Installation Contractors (IICs) to provide high-quality Home Energy Assessments and insulation installations. 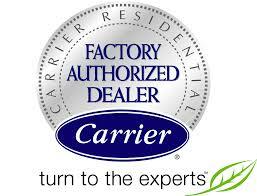 We are Factory Authorized Dealers for Carrier.